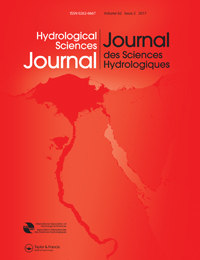 This award is prestigious with a 1000 US$ prize and a 1 year subscription to HSJ sponsored by Taylor & Francis the publisher of Hydrological Sciences Journal. Our congratulations go to both authors. The award ceremony, together with the 2 medals of the IAHS-UNESCO-WMO International Hydrology Prize, will be held on 8 May during the WMO Global Conference "Prosperity through hydrological services", http://hydroconference.wmo.int/en/conf at the WMO Headquarters, Geneva.